Before you can successfully show off your property to anyone (or even take photgraphs) you need to ensure you have a home that people will want to live in: one that's well organised and filled with ample storage space. Here are some important places to de-clutter as you prepare to sell your home. House hunters love to drive by to check out the neighborhood, for that reason, it is important to keep your garden trim and tidy—porch included—to make a positive first impression. Prospective purchasers will wish to see inside your garage, utility room and pantry. Now's the time to clean up (and perhaps invest in some shelving) to make sure your storage rooms look spacious and organised. A narrow hallway can make even the largest of homes feel cramped. Remove as much visual clutter as possible—i.e. hanging hooks, photographs, and other artwork. Living rooms should always be orderly and free of eyesores when trying to sell. This calls for clearing out stacks of magazines, editing your bookshelves, and even paring down throw pillows and table accessories that can make the room feel heavy and smaller than it actually is. Your kitchen is prime with places for potential buyers to scrutinise. Clean and clear you countertops—a good rule of thumb is to have no appliances showing— and your pantry and cupboards organised. Whether it's a hallway coat closet or a master suite walk-in, your home's closets will have a major big impact on prospective buyers. 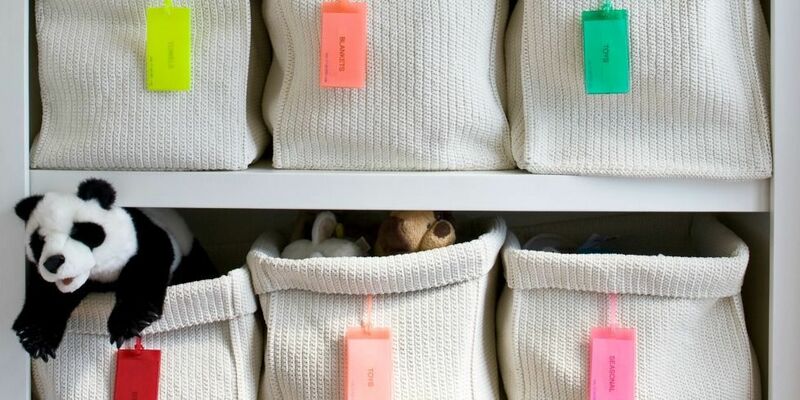 Box up off-season apparel—or better yet, donate them—and remove extra hangers so yours looks spacious and streamlined. Everyone knows the difference a bathroom can make for a house hunter, so keeping yours orderly is imperative. Organise everything from your countertops (no one wants to see your makeup and toothbrushes!) to your hotpress and medicine cabinets, so people can visualise what they would do with the space. If you're lucky enough to have an office in your home, file away or shred old papers, clear your desk, and cover up unsightly computer cords to create a study area that people will want to work in. Kid's playrooms should be every as tidy as any other bedroom in your home, limit the number of toys you keep out and have a nice storage bin to stash them all when they're not being used.